Through a delightful comic strip on the company’s website, Snapchat recently announced the integration of Bitmoji into its native app. This past March, the social media giant was rumoured to have purchased the Toronto-based company Bitstrips for $100 million. While the company was focused on creating digital comics when it launched, in 2014, Bitstrips refocused on helping users build customized, shareable cartoon avatars. Building Bitmoji into Snapchat’s platform has quelled the doubts surrounding the acquisition. Bitstrips, a comic and sticker making platform, was founded in 2007 and has raised $11 million in funding from venture capitalists. The company was originally founded on the intention to help users create digital comic strips, but eventually refocused their efforts towards helping users create personal, shareable graphics. Bitmoji is a feature created by Bitstrips that allows users to create graphics which they can customize to look however they choose. The main purpose of these graphics is to create personalized emojis that look like oneself, which can express a wide variety of emotions and actions. “We fell in love with the Bitmoji team and their amazing products, and we are excited to welcome them as a new part of the Snapchat family,” said a Bitmoji’d Evan Spiegel, the co-founder and CEO of Snapchat, in the animated statement posted to the company’s website. 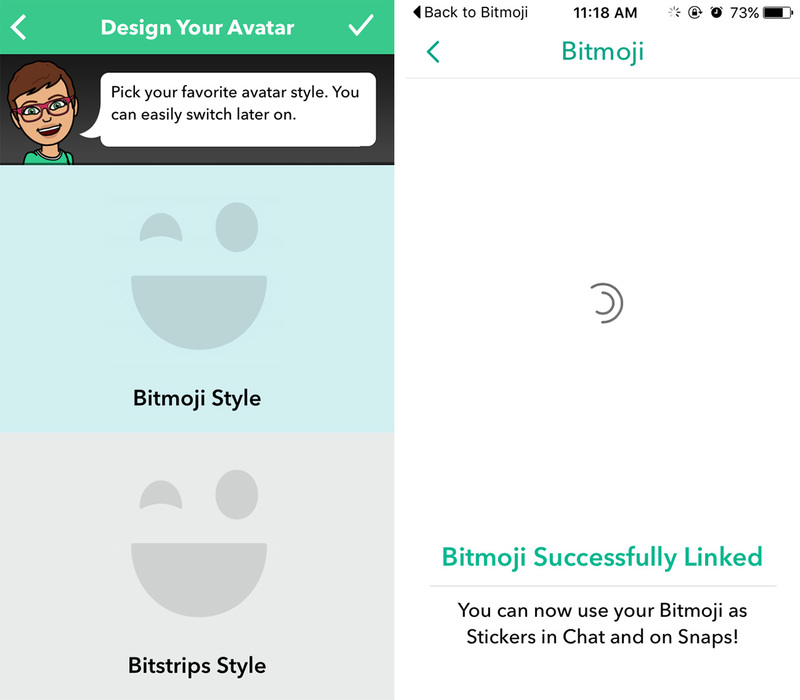 Up to this point, Bitmoji avatars could be uploaded to Gmail, Messenger, Slack and several other online platforms. 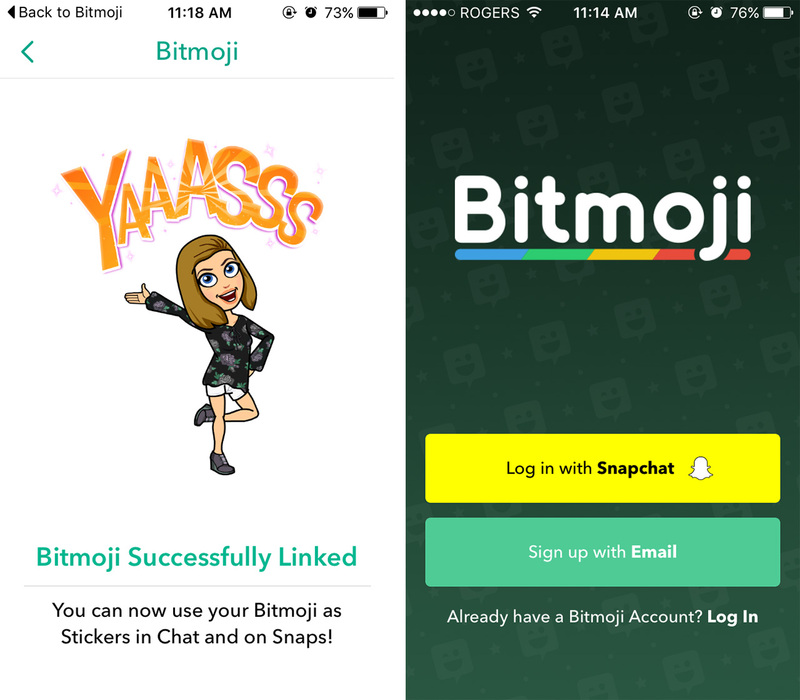 With this announcement, users can link their Bitmoji and Snapchat accounts to use their personalized avatars in their Snaps. In order to do this, users must download both apps. The acquisition took place during this past March, though both companies were extremely quiet about the time. While things didn’t quite add up at first, TechCrunch reports that once Snapchat rolled out Chat 2.0, allowing users to choose from over 200 stickers, the acquisition began to make more sense. 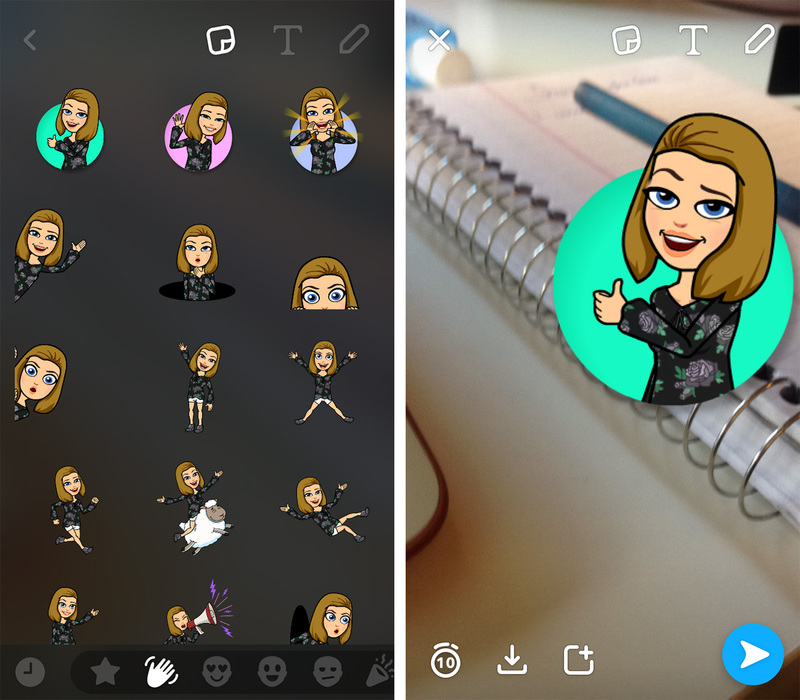 While little information was provided in Snapchat’s announcement, the social media giant did say that when snapping with friends who have also linked their Bitmoji accounts, both users will be able to send Friendmojis. After making my own personal emoji, I can confirm that this integration is now live on Snapchat.